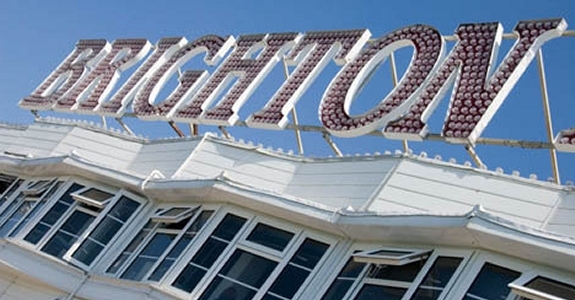 Draw up your deckchairs at two special TextWorkshop events at the Museums Association conference in Brighton this October. On Monday 3rd October, join Dea and Rebecca for a creative writing seminar in the exhibition area, for new ways to make great writing feel like a breeze. The exhibition and seminar are free, and you can register here. Then on Tuesday 4th October, Rebecca is speaking in a session on Youth Participation, looking at her experience of enabling a diverse group of young people write text for a Science Museum exhibition project. Book a place for this day of the conference here or see more about the project here. We’d love to see you there! Full details are below. Seminar: How to write great museum text, on 3rd October 2011, 14.30-15.15 in Room 2. Practical tips, brain games and creative tricks will make great writing feel like a breeze in this interactive text-writing seminar from TextWorkshop. Writing coaches will share and demonstrate techniques for museums wanting to banish boring text and promote great writing. Session: Participation or alienation: working with young people, on 4th October 2011, 12.05-13.05 in Syndicate Room 1. Join a panel of museum professionals and young people to challenge current practice in youth participation. This session examines the successes and failings of museums when it comes to youth engagement.